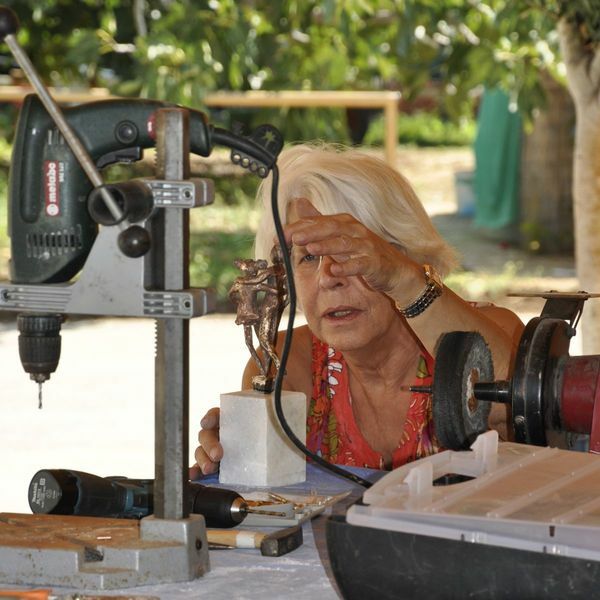 Felo Hettich and Ingrid Onstenk, sculptor, are the tutors of this workshop. 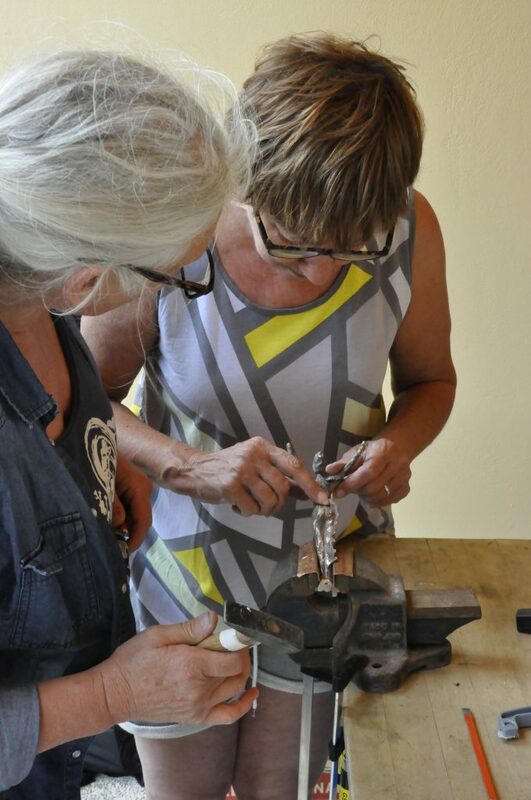 They have a ‘mobile foundery’ and offer workshops bronze- and silver-casting on location. The method they use is the ‘cire perdue’ method, where the original waxmodel is cast in a plaster mould and then melted, leaving the impression in plaster. 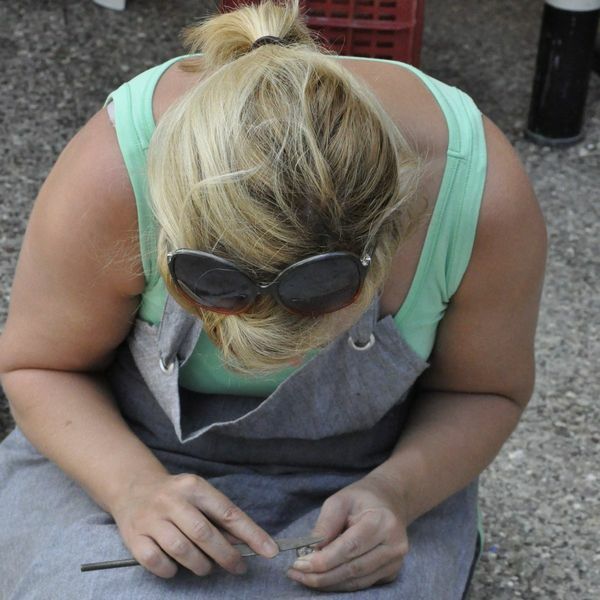 First Ingrid will assist you to make an original model in wax, around which a plaster cast is poured. The wax is then melded out of the mould in a special oven. In the plaster mould the form of the model is then filled with liquid bronze. 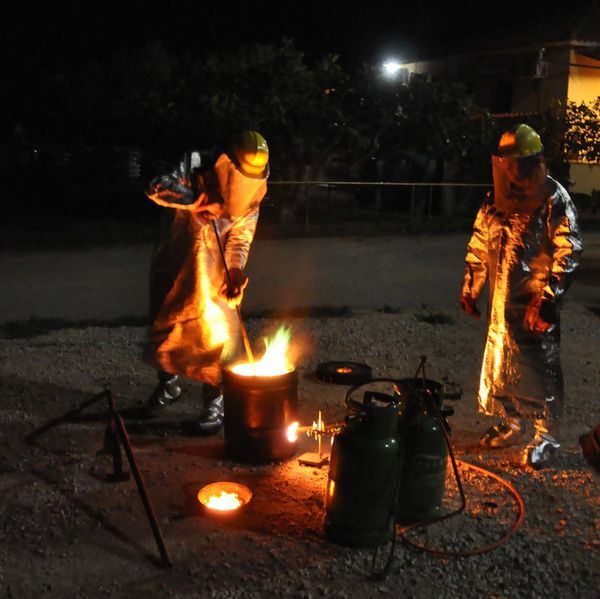 This spectacular process is often done during the evening hours so the redhot metal is clearly visible to the spectators. 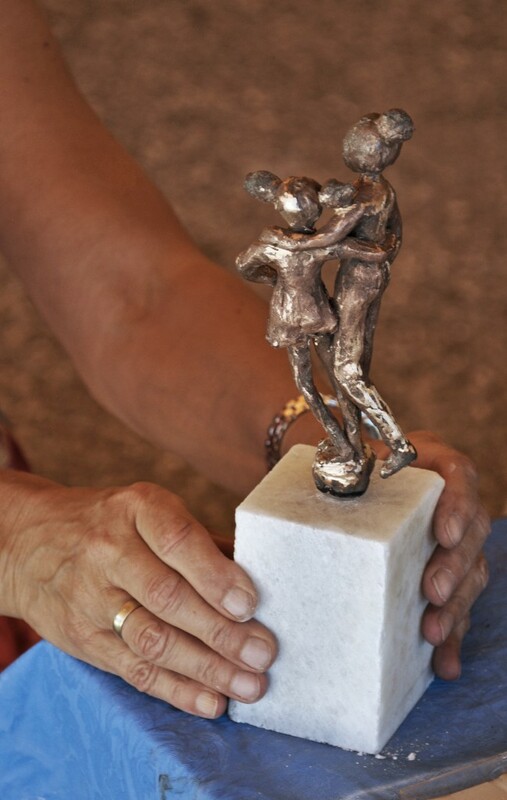 After the metal has solified and cooled down, the model can be finshed: cleaned, polished and patinated and finally mounted on a wooden or marble base. 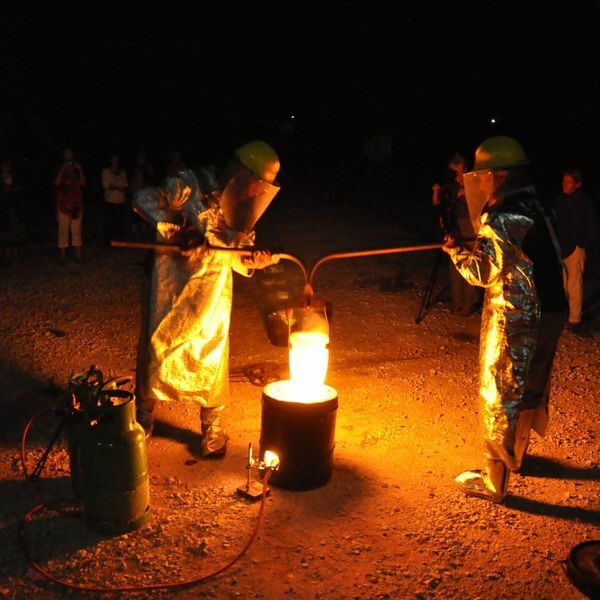 Except from bronze casting, our teachers also offer the unique technique of casting silver in a very traditional method, by making use of an impression in Sepia (the backbone of a squid). This ancient technique has been used for thousands of years and is surprisingly simple and effective. The workshopweek includes the tutoring and use of tools. Excluded is the price of bronze and silver. Please consult our materials pricelist for an indication. This workshop is for beginning and advanced participants and can be a part of a ‘Combined workshop’ week.